UPDATE SEPTEMBER 10: Mr. Blamo, curator for the Blamo repository, developing some of the best Kodi addons for the entire year of 2018, closed Blamo repository down earlier today and took the repo offline. With Blamo repo down, updates to many of the greatest Kodi addons today will cease. Neptune Rising, Placenta, Death Streams, Chappa'ai, Wraith, Aragon Live, and many other addons will be dieing without help from other developers. Kodi users worldwide will be seeking alternatives to many of these mainstay addons. The Blamo Repo has been loved by several thousand Kodi users as a central part of their entertainment centers for many months. To help soften the sting, we suggest the new Tsunami OG Kodi addon, which seems to be one of the best all-purpose and fully working Kodi third-party addons to come along in many months. For classic films and live sports streaming, you won’t be disappointed. You will also want to check into the new update for the greatest Kodi addon of all time, Exodus, currently housed in KodiBae repository. These should take care of all your streaming entertainment needs for some time to come. Aragon Live offers free live streaming TV from broadcast channels along with tons of regional and network TV programming for Kodi. Making its home in the Mr Blamo repo, Aragon Live offers a wide selection of television channels. With a huge number of broadcast TV networks available for streaming, Aragon Live likely has free live streaming TV shows you want to watch. Heck, Aragon Live might even have your hometown favorites. If installing Aragon Live for free live TV streaming on a new Kodi installation, you’ll first need to enable unknown sources within Kodi settings. If you don’t know what this means or can’t remember exactly how it’s done, please visit the Enable Unknown Sources and we’ll get you squared away. Having performed more than a few Kodi addon installs, experienced Kodi users have learned you only need the repo location. If you’ve read the instructions for installing repositories in the Best Kodi Repositories article, you can easily do this with the first method presented there. The Aragon Live Kodi addon home repo is well known for providing great addons, so enjoy its many offerings. The free live streaming TV available with Aragon Live is only a small part of the Mr Blamo repo’s appeal. At the Kodi home screen, click the SYSTEM icon above the menu, then head into the File Manager. Choose to Add Source, then click on <None> to give Kodi a custom location to find the Mr Blamo repo. Enter a name for the repo source URL that you will remember, such as Blamo, then double check the Mr Blamo repo source URL was input correctly and click the OK button. Head back to the Kodi home page and enter the Add-ons area within the menu. At the top of the Add-ons menu, click on the Add-ons browser icon, which looks like an open box . Many call it the Package Manager, which makes more sense. Choose the Blamo source added in the previous section. Click on the repository.blamo-x.x.x.zip file to install the repo. Once you see the Add-on enabled message, then move on to the last step in the Aragon Live installation. While still in the Add-on browser , click on Install from repository. Go into the Blamo Repo. Click on Video Add-ons then Aragon Live and press the Install button in the dialog that comes up. If you are using Kodi 18 Leia, you will also need to accept an installation dialog concerning dependencies required by Aragon Live. Once you see the Aragon Live Add-on installed message, Kodi is ready for you to watch free live streaming TV channels from around the world. 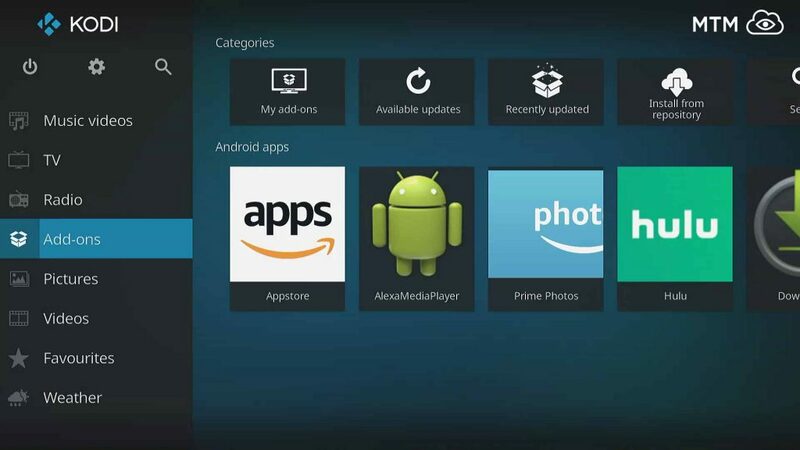 You will find the Aragon Live streaming TV video Kodi addon in the Video > Video Add-ons or Add-ons > Video add-ons areas. Once you open it, you will easily find your way around its many free live TV streaming broadcast networks and channels. The Aragon Live Kodi addon divides its available live video streaming channels into two main categories. These Aragon Live and Aragon LiveNetTV main sections each contain loads of live streaming video channels. These channels within the two top level categories get further divided by subject matter. The first of the two categories has the name of Aragon Live. This category primarily provides free live TV streaming from the major American and European cable TV and broadcast television networks. Within, you’ll find you can watch live TV on Kodi from the biggest names in cable TV. You’ll see free live streaming TV broadcasts from HBO, Showtime, Cinemax, Discovery, History, ESPN, MTV, VH1, and hundreds of others in here. You’ll find a very large number of regional TV channels in the Aragon LiveNetTV top level category. With everything from Cartoon Network Arabic to Animal Planet Hindi, Aragon LiveNetTV also has free live TV Kodi channels for you to watch if main stream western programming doesn’t meet your needs. Local news broadcast from around the world along with religious programming, kids’ shows, cooking channels, documentaries, movies, sports and other entertainment all have their own categories. This category also contains free live TV streaming categories specific to 17 diverse regions of the globe. With named categories from Afghan to Thailand, Canada, Kurd, Punjabi, and Australia, the regional directories seem very diverse. Even Nepal is represented with a category of its own containing 13 channels at this time. By the way, that’s a very low number of channels for one of these regional categories. Some of the channels provided by Aragon Live may seem unstable or unavailable at times. Especially sports networks such as ESPN, Fox Sports, or CBS Sorts Network may only become available during special events. 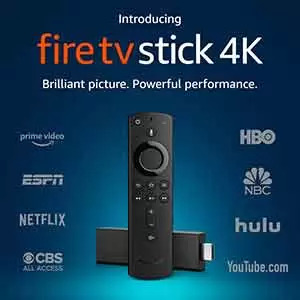 As they consider this add-on unofficial, please don’t seek support for Aragon Live from Kodi TV or the XBMC Foundation. Avoid asking for help in their support forums regarding this or any unofficial Kodi TV addons. You will probably not receive the response you would like, as they believe third-party (unofficial) Kodi addons are only used by pirates. Most of their support personnel, when speaking on the subject in public, vehemently insist that the use of most third-party Kodi addons equates to evil. Feel free to ask any questions you may have about Aragon Live, Kodi, free live streaming tv, or watching free video online in general right here in the comments. We’d love to help or direct you to someone that can help with specific questions we can’t answer. Talk about Blamo out of nowhere. Devastated. Thanks for the suggestions. Will try them. Snap! Blamo down?! Nooo! Will be missed! This lets me watch live sports or live broadcasts from local stations and channels? Does live TV include pay per view fights, concerts, and other special events? Are there just webcams from all over the world in Aragon Live TV addon or does it access commercial broadcast television channels and premium subscription streams? This is very nice for the live tv so is the iptv simple client in your other post for the m3u i tried. Thanks for the easy to follow directions for live TV streaming! This Argon Live TV plugin works great!